BBQXL is pleased to announce the arrival of the Big Green Egg product range, available now at their Melbourne showroom for you to view in person and take home with you. 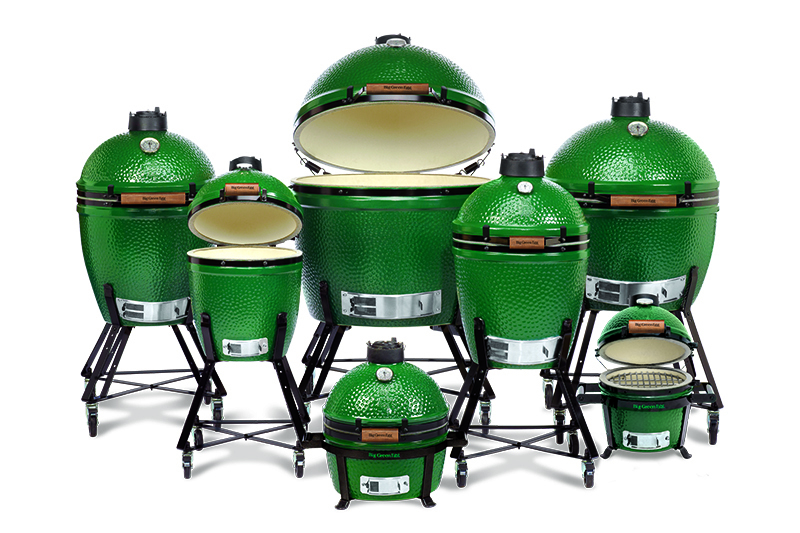 What is so special about the Big Green Egg product range? It is made with attention to detail from high quality Mexican clay. The Big Green Eggs retain heat for a long period of time, and radiate very little. This makes them a versatile cooking instrument. They can be fitted within tables with the required minimum clearance, which makes them ideal for permanent fixtures in restaurants, outdoor kitchens and regular BBQ cooking areas. When you need reliable, consistent temperatures over several hours, the Big Green Eggs shine. When used with the specially sourced Big Green Egg charcoal, the Eggs heat up quickly and are ready within approximately 15 minutes. Our Sales team can provide advice and tips for getting the fire started and maintaining temperatures for different cooking purposes, as well as how to set up your Big Green Egg. Where can I buy The Big Green Egg and Accessories (Eggcessories)? Whether you are looking at a full restaurant set up or a MiniMax unit, BBQXL is your one stop store for your Big Green Egg and Accessories. If you have already picked up a Big Green Egg, we have a full range of accessories, including charcoal, starters, covers, tools and other supplies so you are always ready to cook up on your Egg. When I get a great Big Green Egg deal? At BBQXL of course! We’re offering two fantastic bundle deals on Big Green Egg kamado products until 31 July, 2017. Check out our Big Green Egg – XL Bundle and Big Green Egg – Large Bundle packages each including a conVEGGtor and a range of accessories at a discounted price.